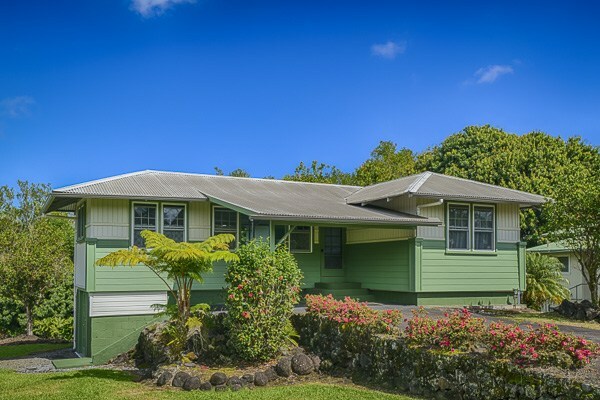 When looking at homes for sale in east Hawaii, people are frequently drawn to Hilo homes because of the quaint neighborhoods and the proximity to shopping, dining, and activities. 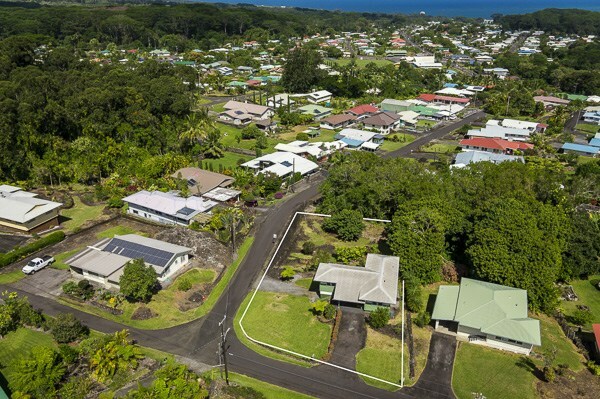 Neighborhoods like Kaumana are popular with homebuyers because they are situated slightly above town, yet within easy commute to downtown Hilo, the hospital, and other businesses. This 3 bedroom/1.5 bath home in lower Kaumana features a quarter acre of landscaped yard on a corner lot and has been completely remodeled. Featuring 1,626 square feet of living space, the home has a crisp, clean feel to it, yet retains the charm of its original character. Attention to detail is evident throughout the home from the crown moulding and wainscoating in the comfortable living room to the updated quality fixtures in the upstairs bathroom. 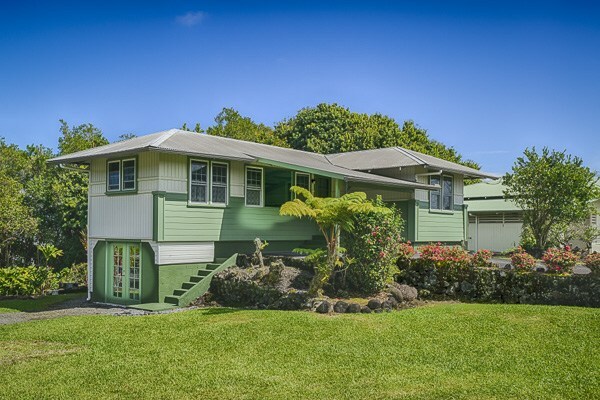 When it comes to east Hawaii properties, this Hilo home has a lot to offer. The kitchen is light and airy with a dine-in breakfast nook. Ample sized windows in each of the three bedrooms offers lots of natural light and enables tropical tradewinds to keep the house a pleasant temperature. And the home has a paved driveway and covered carport. But perhaps the best feature of this house is its basement, with its own separate entry. 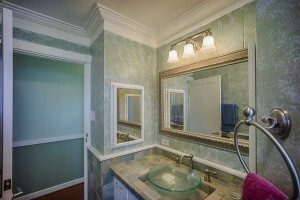 It features a fourth bedroom and bathroom, plus a large family room that could be used for an office or a storage area. The great thing about this basement is the options it provides. Use the spare bedroom as a guest room, an in-law suite, a rental unit, or to operate your at-home business, or just to store sports equipment. Offered at $339,000, this house provides great value in a nice neighborhood, and won’t be on the market for long. 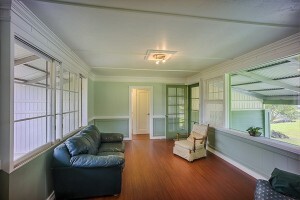 For more information on this Hilo home for sale, give me a call today at (808) 963-6880, or email me.